Bret and Christine welcome you to ASURE Ambassador Motor Lodge situated at the north end of the Oamaru Central Business District. At our 11-unit motel we strive to offer the best in comfort and hospitality, offering home-baked muffins to all guests on arrival. As we have both travelled extensively we feel we have good insight to travellers' needs and are happy to assist with itineraries if required. Our room layouts comprise studio, 1 and 2-bedroom units, 6 with spa baths. All are ground-floor and smoke-free. Off-street-parking at your unit door. 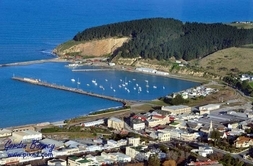 Oamaru, described as ’New Zealand’s best kept secret’ is recognised as a destination town with the world-renowned Yellow and Blue Penguin Colonies. Oamaru is 116km from Dunedin, 283km from Christchurch and is known as the Gateway to the Waitaki and Southern Lakes District. 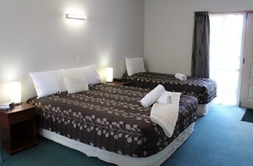 Stay with us, relax and take time to enjoy the many wonderful attractions the Waitaki Region has to offer. 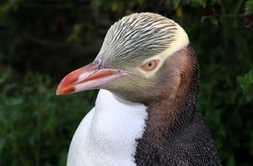 A two-minute drive takes you through the town centre to Victorian Oamaru with its beautiful white-stone architecture, the magnificent Opera House and the famous blue and yellow-eyed penguin colonies. Other attractions nearby are Whitestone Cheese, world-class Public Gardens, the Moeraki Boulders, the Fossil Trail and Steampunk Headquarters. Our ASURE loyalty programme: stay 10 nights at any three ASURE properties throughout New Zealand and receive a 0 credit off your 10th night. To see information on all our properties and for checking availability in any of these properties, click here.